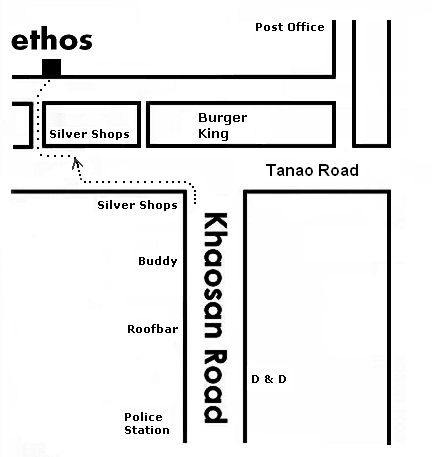 Only 2 minutes walk from Khaosan Road! 1. Go to far end of Khaosan (east). 2. Cross over towards Tattoo and Air Asia. 3. Enter 2nd alley on the right (past Center Silver). 4. 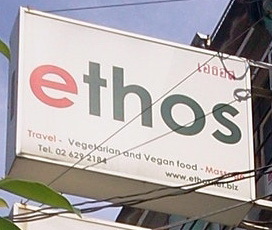 Look for big ethos sign in the alley behind. near Khaosan Road, in alley behind silver shops. Behind Tatoo Shop and Air Asia office.